If you've grabbed yourself a copy of Octopath Traveler in physical form over the last few days, you might be quite excited to see this latest gift from the North American My Nintendo store. 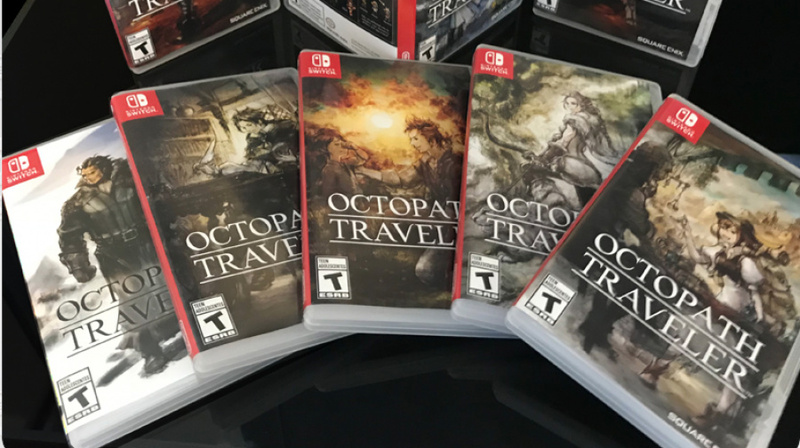 To celebrate the game's release and its eight playable characters, Nintendo is offering eight different covers for your physical box, each featuring one of the protagonists. Now you can show off your favourite character in style. A cover will cost you 50 Platinum points - which you should easily be able to collect just by regularly visiting the My Nintendo site. If Switch game covers aren't your thing, or perhaps if you own a digital copy of the game instead, you might be more interested in these wallpapers - also available for 50 Platinum points. 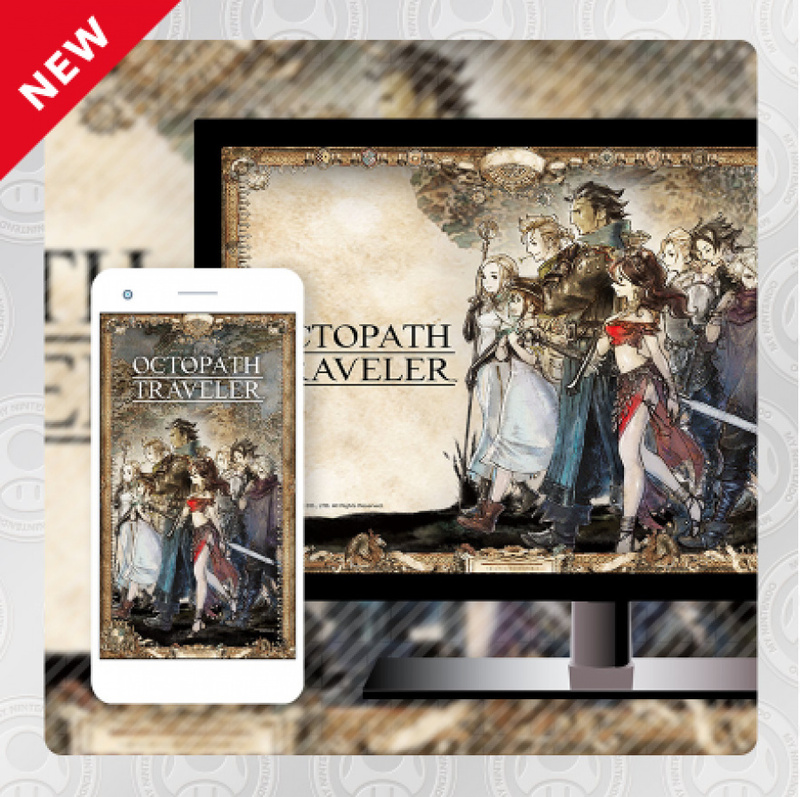 Have you been enjoying Octopath Traveler? Tell us if you'll be snapping up any of these goodies with a comment below. I wonder if some madman will buy 9 copies so that they have each variant for their collection. @Silly_G That is if they can even find that many copies of the game. @Silly_G Don't you know there is totally that bad of a Physical Purist out there. @LukeNI I found one; I am happy! 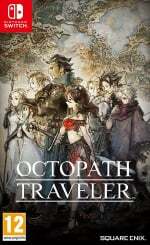 First Splatoon, now Octopath Traveler. What next? Or you sell it on ebay with mario tennis ace in it. @Rhaoulos lol then we should get it for Mario Kart Octo Deluxe, right? I finally got my own bloody copy just a few hours ago! And it's the Wayfarer's Edition! Cool, the character art for the game is quite nice. @Gs69 Because UK is always forgotten about, and it's easy to create a US account. I'm in the UK and I made one so that I could download the US version of Sonic Mania back when it was download only and amazon didnt have the special edition for pre-order. Downloaded all 8 versions not sure if i'll use them as my printer isn't that great. @Appleflap H´aanit all the way! I wonder about getting this and doing two playthroughs: one for each quartet of characters (since you can only have 4 in party anyway. Welp i know where my coins are going. This is for US accounts MyNintendo accounts only. So that's why I want to help out the non US people here. Here's a link to getting them all (150MB download). We would pay the platinum coins for them but can't as they are not on other region MyNintendo accounts. It's not just Nintendo UK. Nintendo Australian and NZ as well as Nintendo Europe is also forgotten about here. This is 100% Nintendo of America being elitest a**holes here. Reggie and his US crew don't care if every other region crashes and burns, as long as his precious Nintendo of America thrives. Even the folks in Japan care about every region of Nintendo. They often send out messages out to the fans in different regions. That's the difference, they care about all regions while specifically only working for the Japanese region only, as well as general hardware and game creation. thanks for the links. i agree, i always wait a day and look to google images instead of spending the coins. but thanks for the immediate solution. I ordered 10 empty cases from Nintendo so that I can print these off. Don't worry though, I'm not buying the game 8 more times. These will look great on my shelf though as I really like the art style. I'd like that wallpaper... Come on Nintendo UK! @the8thark I'm pretty sure Nintendo of America has neither the power nor obligation to release these things in other regions. Their purpose is to serve North America. Nintendo of Japan does things for other regions because they're the head branch with all the real power. Many times in the past Nintendo of Europe and Nintendo Australia/NZ have given shout outs to each other. Also the European Directs often have info relevant for both regions. Nintendo of Europe and/or UK has zero obligation to do this as they do not serve Australia/NZ. The reverse is also true. Still they all do it. Because they understand that Nintendo doing great in all regions is better for Nintendo as a whole and for their own region too. I am loving the game so far. But phone and PC backgrounds and printable game covers are very 2003. I hate to word it that way, but I mean, it's almost laughable to offer a desktop background as a reward these days. I literally have a desktop background folder on my PC of over 8000 images that rotate at random every few minutes. 20 hours in, I'm very happy with the game. Wouldn't mind using that wallpaper on my phone.